[Material] 500D PVC tarpaulin, with Nylon tape and PP buckle. Also we have other material for your choose: 250D PVC tarpaulin /nylon/TPU/polyester. All material though SGS and reach EN71 standard and pass CA117 flame retardant test. [Quality]High Tenacity, Corrosion-resistant, Anti-aging, Binding resistant, Press-resistant,Tear Strength and Adhesion Strength, Prefect Light fastness. [Size] 5L 10L 15L 20L-80L as your request). Ocean Sports/Outdoor sports and so on. 1.We are manufacturer with super quality and quiet competitive price. 2.Most of our products enjoy sale in EU and American market with good feedback. 3.We have strong ability on OEM & ODM Service. We have our own R & D department. 5.Excellent after-sales service and fastest reply to you. 1. We can Provide free sample when the fabric in stock. Freight collect. 2.We can produce items according to your design and request. 3.We have our strong R&D department, will develope new item each month for your checking. NINGBO HOUNUO PLASTIC CO.,LTD. is a professional manufacturer of various dry bags for over 10 years, 3 year Costco and Amazon approval vendors, specializing in making outdoor sport products and early childhood products, we have exported over thirty countries all over the world, and received highly feedbacks Our outdoor sport products include all kinds of dry bags, waterprof backpacks, holdalls, duffles, survival bags, outdoor wash basin, camping mattress and outdoor blankets, early childhood products have nap mats, tumbling mats, baby changer and blocks. All the materials we use are produce by ourself to make superior quality and more competitive for client. All item get SGS certificate and meet eco-friendly standard. 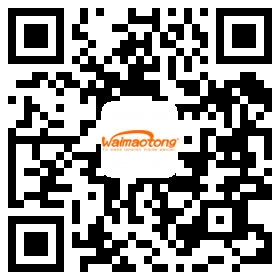 Whether factory : • We are factory in Ningbo city , Zhejiang province, China, we Product goods by self-owned factory. Sample cost: • If OEM is required, we will quote sample cost according to customer's design. Sample time : • Customized samples with customer’s design can be ready in 4~8 days. Sevice : • Reply email within 12 hours, long and stable after sales. stand on client's point to consider questions. Company Name:NINGBO HOUNUO PLASTIC CO., LTD.